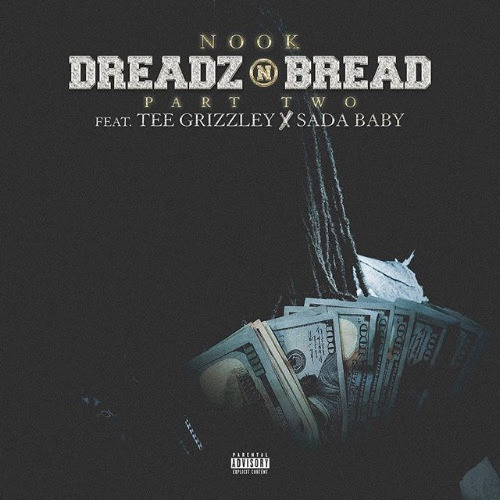 Nook links up with Detroit rappers Tee Grizzley of QC and 300 Entertainment and Sada Baby as he officially remixes his single "Dreadz N Bread". The video was shot by Nick Magerick in Detroit, Michigan and it has already surpassed the 90,000 views on YouTube in less than a week. Nook is definitely one of the artist to keep your eyes on as he excels with creative hooks, punchlines and dope boy music. Nook has been growing his buzz in the state of Michigan since he released the original version of "Dreadz n Bread" ft. Sada Baby & FMB Dz back in the summer of 2017. Nook is becoming one of the artist on the rise to watch in the Midwest. Nook has worked with artist such as Team Eastside Peezy, Babyface Ray, and Flint Michigan's Bootleg from the legendary Dayton Family.